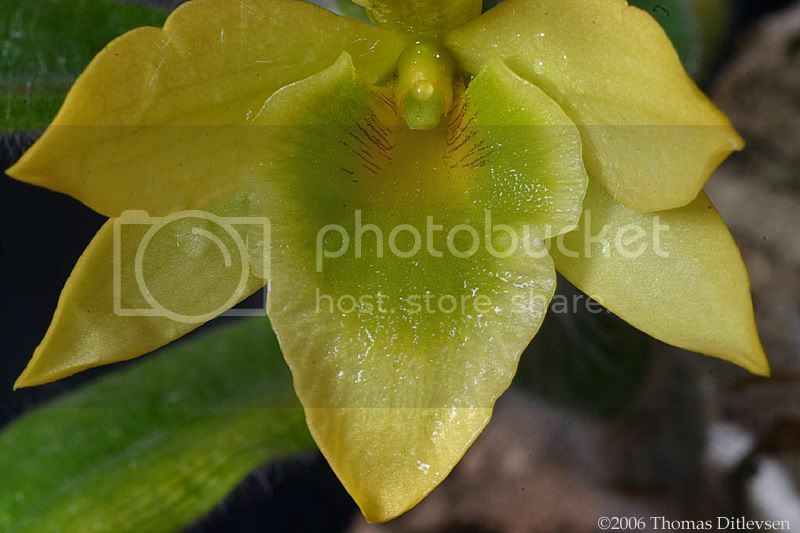 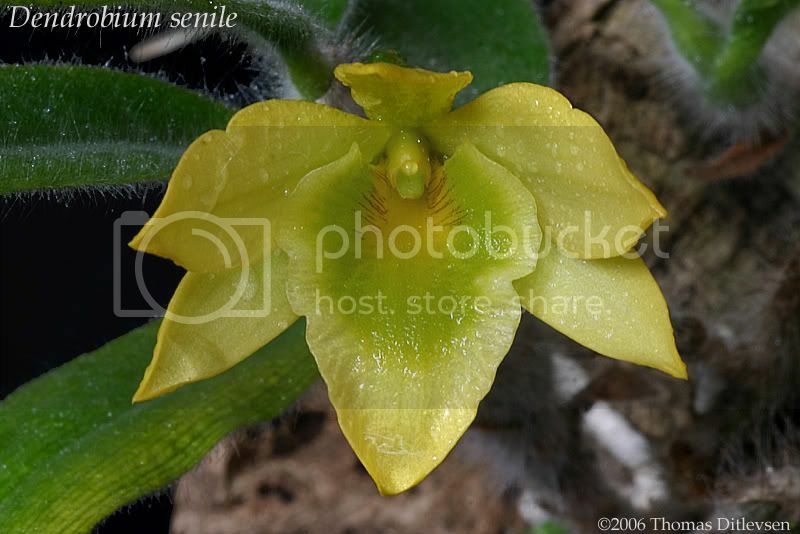 This is a nice small species from Laos, Burma and Thailand where it grows at altitudes of 500-1200m. 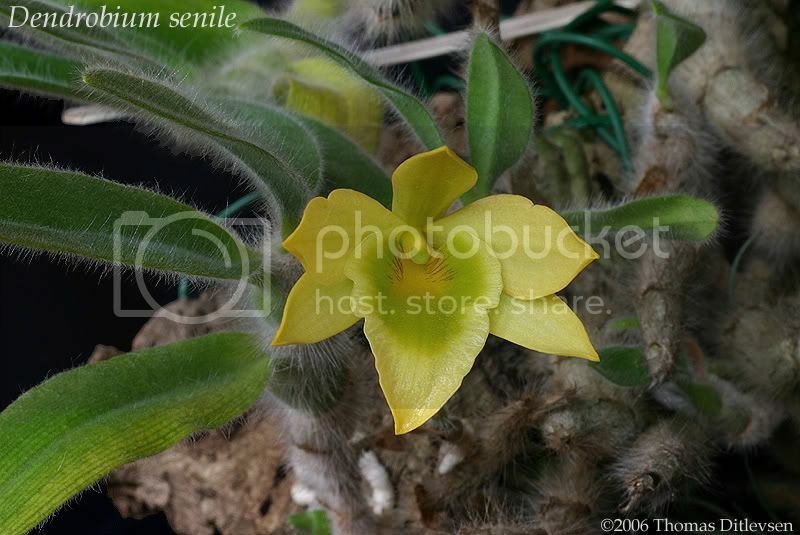 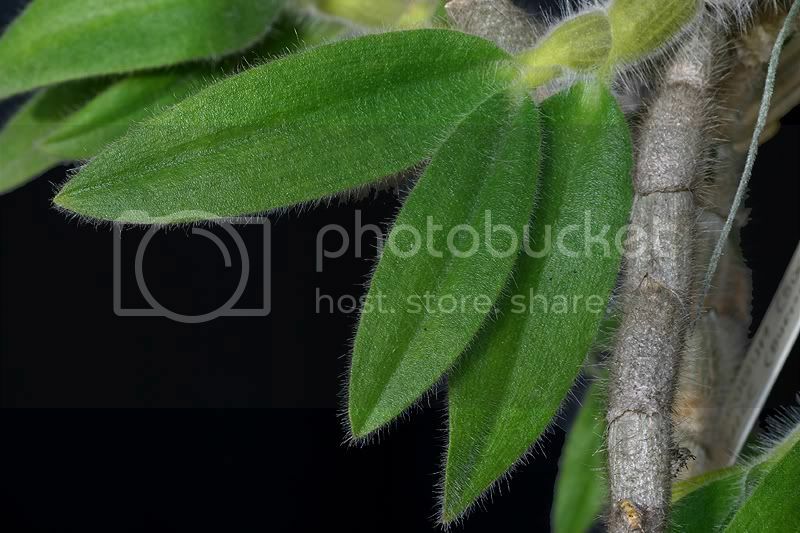 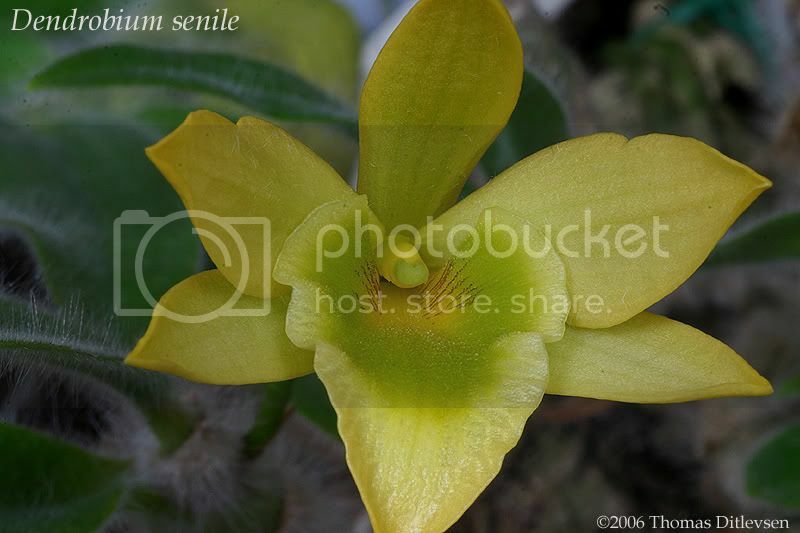 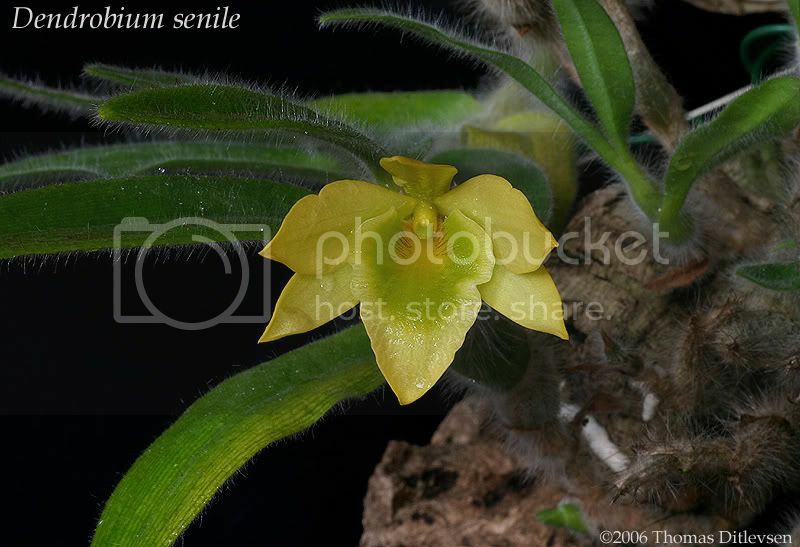 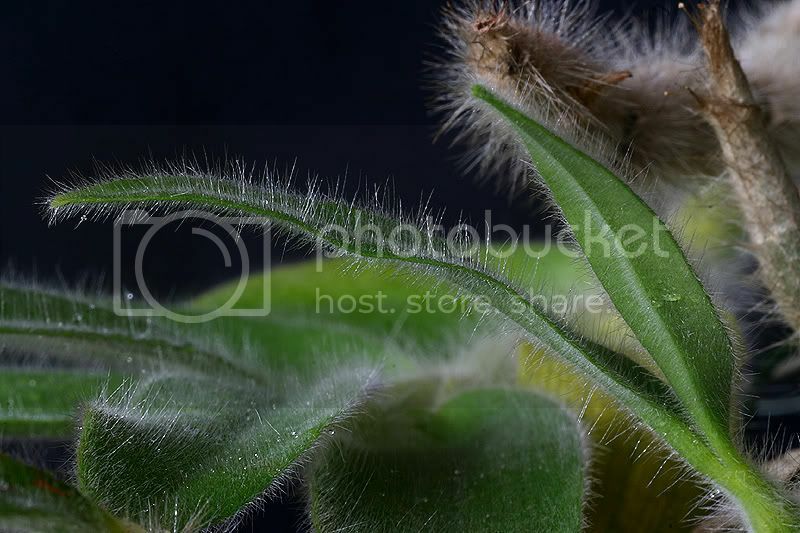 The species is named for its hairy (senile) bulbs and leaves. 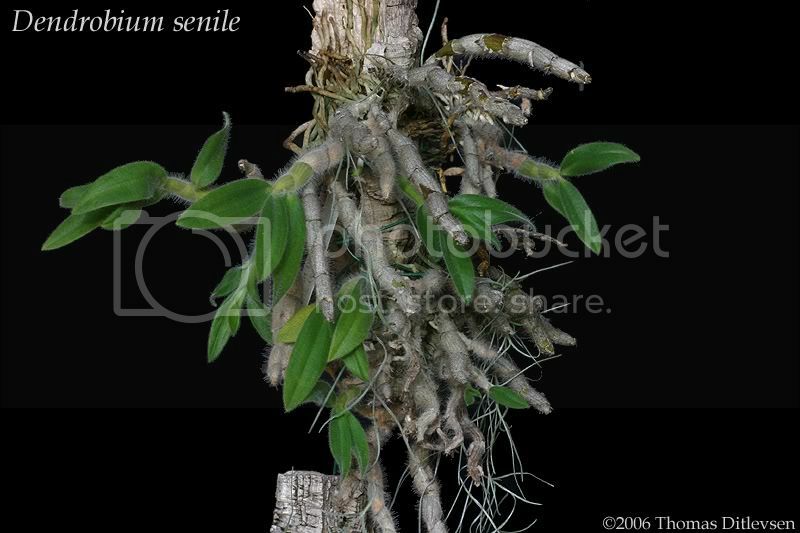 D. senile is best grown mounted and given a fairly dry rest during the winter with temperatures down to 10°C (50°F).